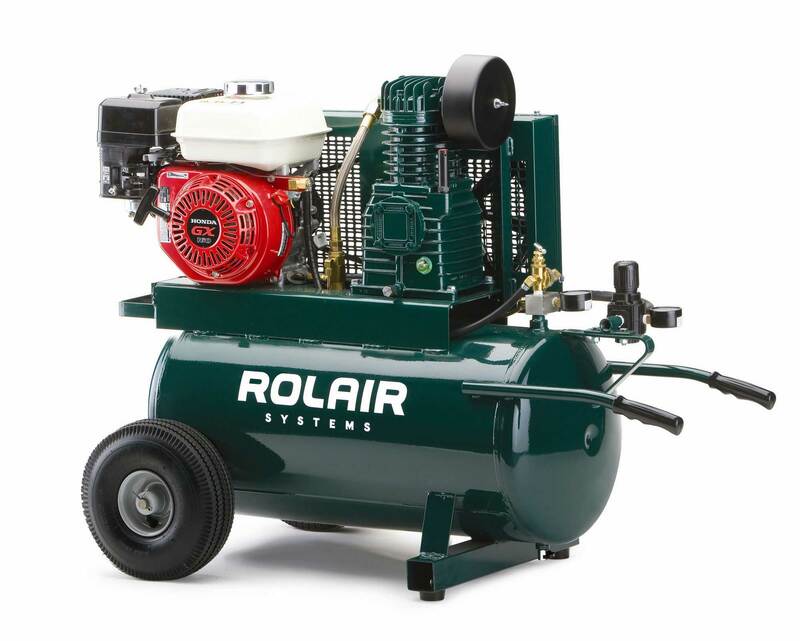 Model 4090HK17/20 is our entry-level large-capacity 163 cc (GX160) gas air compressor. Featuring a single 20 gallon tank assembly, the 4090HK17/20 sustains 9.3 CFM @ 90 PSI longer than the traditional 9 gallon twin tank design. It incorporates an automatic idle-down for increased fuel efficiency and an atmospheric unloading system to prevent oil consumption. L x W x H 47"x22"x34"